Laminated Hurricane Impact Resistant Glass is comprised of two sheets of glass bonded together with a protective inter layer. Laminated glass is the primary hurricane barrier used in impact resistant windows. 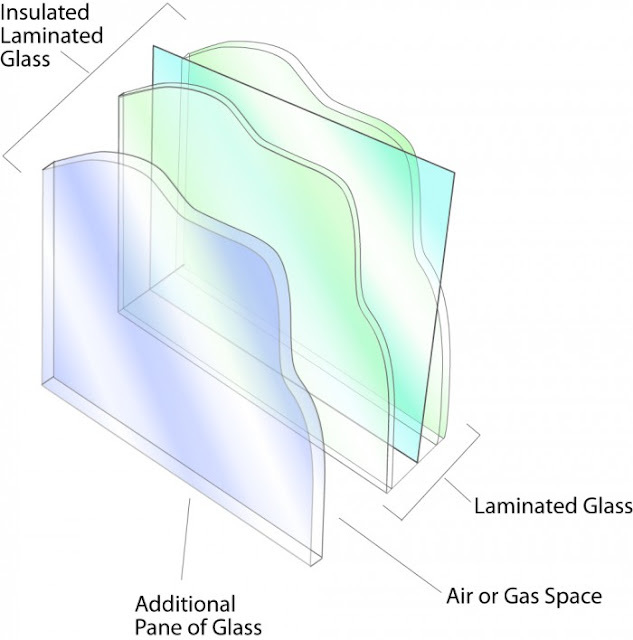 Laminated glass is also used in the windshields of cars. Hurricane impact resistant products use a thicker sandwich of glass and special film inter layer to make the glass unit stronger. Laminated glass also eliminates 99% of UV rays, reduces noise transmission, provides enhanced security protection for your home, and reduces the air conditioning and heating portion of your energy bill. LoE Glass– LoE coatings are applied to the internal glass surface to separate heat energy (long wave) and light energy (short wave). The heat energy (long wave) is reflected back to the heat source and the short wave can pass through the coating. CGI offers high performance coatings on its insulated laminated products. Content from CGI website. CGI is one of our lead manufactures.